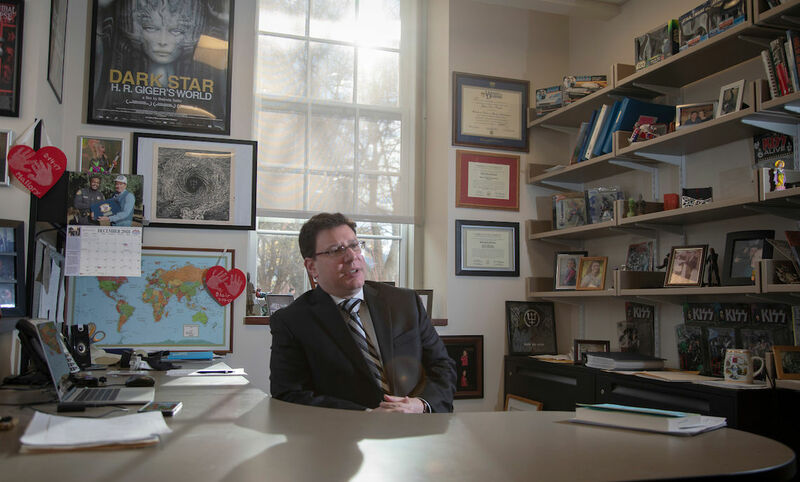 As an associate professor of marketing, Jeffrey Podoshen’s research pursuits include dark tourism and death consumption. It’s no surprise, then, that the Franklin & Marshall scholar examines the strategies terrorist recruiters use to make videos. Indeed, the professor said, there are parallels between the protagonist in the “Die Hard” films and the protagonists in films made by ISIS (also known as the Islamic State of Iraq and Syria). Consumer behavior is another field among his studies, and Podoshen has spent four years examining violent recruitment videos aimed at teenagers. A recent F&M graduate helped him in his analysis for his most recent publication and is listed as a co-author. He plans to work with two students on another type of video project in the summer. Podoshen is the only American on a team of mostly Canadian researchers led by Vivek Venkatesh, an associate professor at Montreal’s Concordia University and a UNESCO co-chair of the Prevention of Radicalization and Violent Extremism project. Last fall, the research team received the third and largest grant to date for its research, $1 million from Global Affairs Canada. Broadly, the researchers study terrorism, violence, violent extremism and social media, but in particular ISIS-produced videos directed at young Canadians and Americans, usually in their late teens or early 20s, who feel disenfranchised or out of place in their western societies. As a co-researcher, Podoshen works with a team of 15 academics, many multilingual, particularly in Arabic and French. “We examine these videos frame by frame, and analyze the techniques and explain why we think these techniques are working,” he said.